Dr. Beamer is a physical therapist and clinical director of Rapid Rehabilitation’s Gainesville location. With over 16 years of clinical experience, she is still very passionate about helping people of all ages and diverse backgrounds to live healthier, more active and pain-free lives. Michelle received her Doctorate of Physical Therapy and Master of Physical Therapy degrees from Shenandoah University, after attending Furman University for her undergraduate degree in Health and Exercise Science. She is excited to be at the Gainesville location, because it offers a new opportunity (as Clinical Director), to create a true collaboration between patients and their therapists. She is committed to creating an exceptional patient experience: one that is responsive to individual needs within a culture of excellence and compassion. 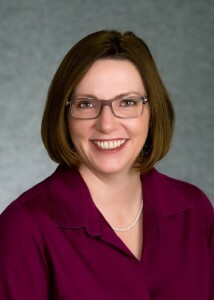 Dr. Beamer has worked long hours to develop a wide range of skills and experience in order to meet the unique needs of her varied patient population. She is Certified in ASTYM (Augmented Soft Tissue Mobilization), Orthopedics, Women’s Health / Pelvic Floor Muscle Rehab, Pediatrics, Lymphedema, Fibromyalgia, PRRT (Primal Reflex Release Technique), and Vestibular Rehab / Balance, as well as Certified in McKenzie Method (spine) / Mechanical Diagnosis and Treatment. Michelle resides in Haymarket with her husband and two sons. She enjoys spending her free time on the soccer field and the basketball court with her boys. She and her husband also enjoy playing golf on the local courses. She has been practicing yoga and Pilates for many years and believes in maintaining a flexible and strong body, mind and spirit.